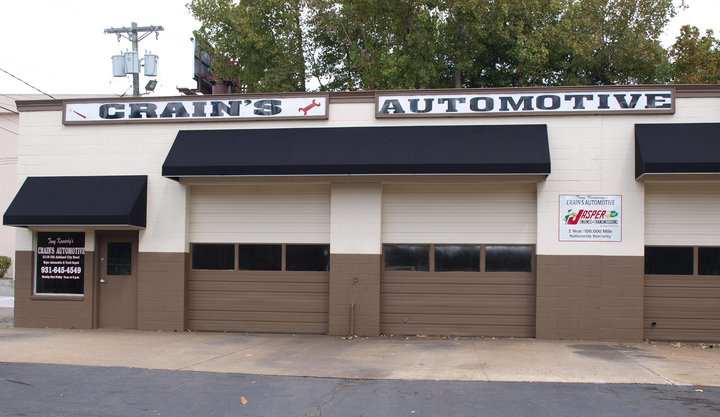 Tony Kennedy's Crain's Automotive has provided the BEST automotive and truck repair service to our Clarksville drivers since 1978. Foreign and domestic cars and trucks or SUVs and vans repairs and maintenance by the ASE certified technicians who have the dealer quality or better diagnostic tools. You know you are in good hands with Tony Kennedy's Crain's Automotive! Choose to work with the shop that takes care of your friends and neighbors where we are always ready to keep you running efficiently and affordably. The best mechanic shop in Tennessee. I will never take my truck any where else. These people are professionals & the best. I highly recommend this shop. I had a rear main seal go out and they got me fixed at a reasonable price and reasonable amount of time. Beyond that the customer service was excellent. I ended up with another small leak (it’s a very old vehicle with 150,000 + miles) and they said to bring it back in right away. Fixed it up a no charge. Best customer service I’ve seen in years! I’m going back here with all my families cars repairs. The best shop I've used!